Yesterday I had a dream where I saw myself playing with my band and while playing we were doing some cool changes to a song that made it sound much better. We were all having fun and smiling while playing this new version. After practicing the new version, the desire to smoke a cigarette was triggered because I wanted a positive reward for what we had accomplished. I told my friends “Guys, I am dying for a cigarette” and they said “If you want to do it, do it” and then I went “Naa, we are practicing. Plus, smoking is not cool for my voice”. Within my previous post, I mentioned that in the past I used to smoke after finishing a task - among many other reasons - as a positive reward, as something I “deserved”. So, within my dream the same pattern was triggered, but I stopped it. 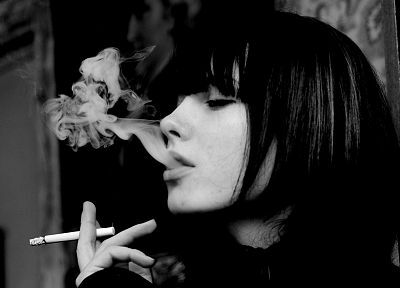 The desire felt so real that now I am thinking that smoking for 13- 14 years made the desire as a pattern be integrated beyond my conscious mind layer. It was even integrated within my subconscious and unconscious mind. So, it is cool to realize that I am also managing the desire to smoke within deeper layers of the mind consciousness system. I forgive myself that I have accepted and allowed myself to have triggered the desire to smoke within a dream where I felt I had done a good job thus, I apparently “deserved” my positive reward through smoking a cigarette as well as I used to do in the past. I forgive myself that I have accepted and allowed myself to integrate the desire to smoke as a pattern within my subconscious and unconscious mind layer due to all the years I was a smoker. I forgive myself that I have accepted and allowed myself to experience the desire to smoke a cigarette within a dream wherein I also verbally expressed that I was dying for a cigarette while trying to find the approval of my band mates in order to do it and avoid feeling guilty. I forgive myself that I have accepted and allowed myself to participate in the belief / idea that after experiencing a positive feeling after doing a good job whether within the music field or any other field in my life, I “deserve” something separate from me like a cigarette, without realizing that stopping smoking is the best reward I can get, but as I do not get a “positive feeling” through doing it, I do not see / consider it as a gift. I forgive myself that I have accepted and allowed myself to think, believe and perceive that everything that is the best for me should bring a positive feeling, without realizing that that is part of my pre-programming due to believing for many years that I was my mind as thoughts, feelings and emotions. I forgive myself that I have not accepted and allowed myself to see, realize and understand that the best for me is not attached to energy, because energy is created within the mind consciousness system, but I am not that, therefore, during this process of giving myself life as the physical I have to learn to see beyond my mind pre-programmed perceptions / interpretations / beliefs / ideas / conceptions in order to feel through the touch / physicality the reality, but not through the mind as feelings and emotions that are energy-based. When and as I see myself expecting to receive a positive reward after finishing a task and / or doing a good job, I stop and breathe. I realize that there are many things I am already experiencing that are gifts in my life, for instance living the decision to stopping smoking cigarettes in every moment, because it is the best for my lungs / throat / teeth / voice, but as I have conditioned myself to always get a positive feeling after finishing a task and / or doing a good job through my perception, this perception requires to be deconstructed in order to unlearn that apparently the best for me must be energy-based and re-learn not to trust the mind system as a dependable cross-referential “entity” that tells me whether what I am experiencing is real or not. I commit myself to stop and breathe when and as I see myself expecting a positive reward after finishing a task and / or doing a good jobs in order to bring myself back here and realize that I already gifted myself through doing the task, being here, breathing and moving within / as the physical and that I do not actually require something separate from me like a cigarette to validate / legitimate what I did, because that's only part of the pre-programmed "ritual" I have accepted and allowed myself to repeat as a pattern / bucle for many years which is not necessary to continue perpetuating today.